FP35 Touch Hearing Aid Analyzer v7.10 – Frye Electronics, Inc. 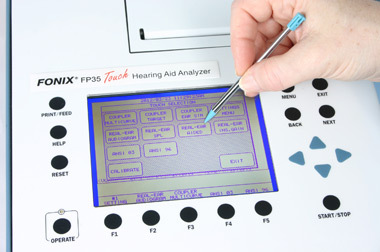 The FP35 Hearing Aid Analyzer now comes with touchscreen. See a quick hearing aid customer demonstration video with explanations! The FONIX 8000 Visible Speech Now Includes Pre-Recorded Speech!